Let’s get right to a few items of note from the past two weeks in our little rainy, finally fall-like part of the world. Carnegie Auditorium, Holly Springs, Marshall County , Style: Colonial Revival, Photo by Jennifer Baughn, MDAH, 04/11/2011, from MDAH Historic Resources Database. 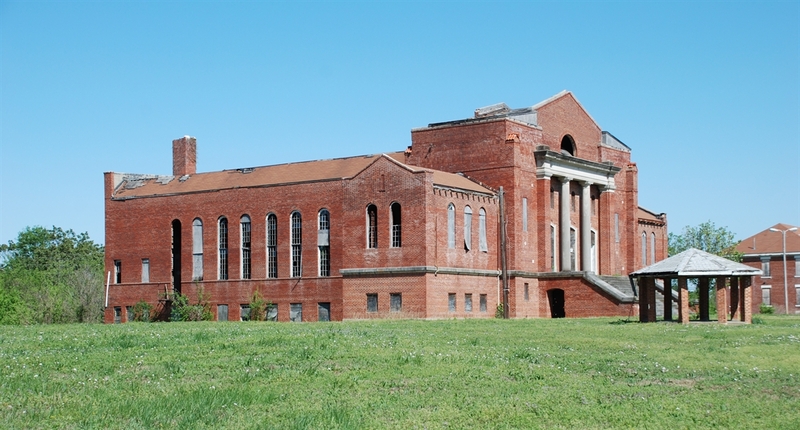 Up in Holly Springs, work may finally be on the horizon to stabilize the Carnegie Auditorium on the former campus of the Mississippi Industrial College, built in 1923 and designed by the African American firm of McKissack and McKissack of Nashville, TN. Rust College, which now owns the MIC property, located across the highway from its own historic campus, announced in the South Reporter that architects and engineers have been evaluating the building. You may recall that Rust received a $400,000 grant from the Mississippi Dept. of Archives and History back in 2013, and they will be matching that with $100,000 in hopes of replacing the roof and windows. “We are seeking other partners, local and national, to assist in the project,” [President David] Beckley said. [Clencie] Cotton said the need for a facility large enough to accommodate Rust College, area high schools and various faith-based organizations, is obvious because many large gatherings are being held outside the county. “The lack of an adequate auditorium and conference facility deprives Holly Springs and Marshall County of much-needed economic activity and jobs,” he said. 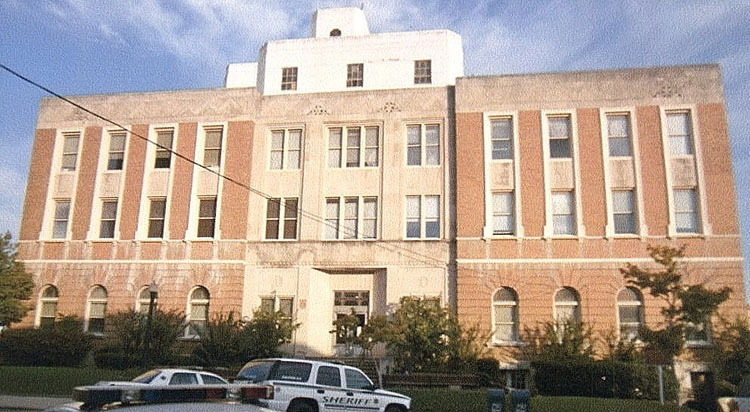 Mississippi’s highest judge called the Lauderdale County Courthouse “the worst courthouse in the state,” after touring the historic building Friday morning. I can’t find any indication that the Lauderdale supervisors have requested any grants for the building, at least not since MissPres has been keeping track. Too late for this year’s Community Heritage Preservation Grant, but may be time to start working on an application for next year. 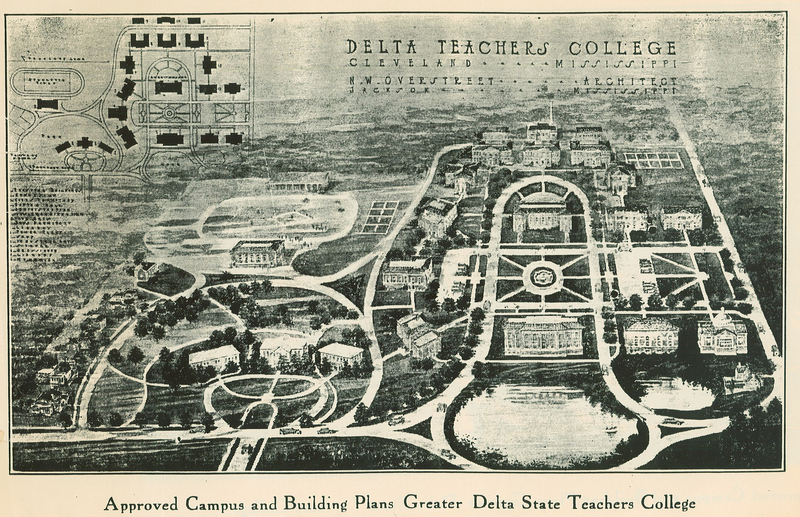 Delta State University celebrated its 90th anniversary last week and posted a brief history of the campus, which began as the Bolivar Agricultural High School. Better yet, they included a scan of an original landscape plan by N.W. Overstreet, which is enough to make any architecture lover grin and clap like a child, even on a Monday morning. The three AHS buildings, which are long gone now, are shown in the left foreground and were by the same New Orelans architect, William Drago, as the still extant early buildings at Perkinston. November 13: Grand opening of the Round Island Lighthouse in its new location at the entrance to Pascagoula on Highway 90. Ceremony begins at 4 PM and free tours will follow. December 5: Open House and Tag Sale at the William Gardner House (c.1820) in the Hebron community of Amite County. 10 AM to 2 PM. Home has never been open to the public. Admission $5. See the Facebook page for the Amite County Historical and Genealogical Society for more information. The chance that the Carnegie Auditorium may really be saved has made my day! Thanks!!! Thanks for posting the Overstreet drawing. I’m definitely clapping and grinning to see this newly-found dimension of NWO’s work. Don’t see a date but might be early in his career?